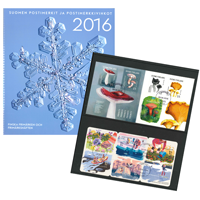 Take out a standing order subscription for Finnish postage stamps. New stamps will be sent you automatically until you decide to cancel your order. Items included in a standing order will normally be mailed in five batches during a year, right after the date of issue of the stamps included in a batch which normally corresponds to an issue date. 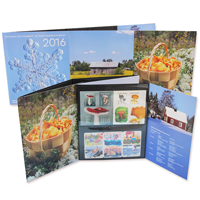 Year packs and similar items will be available after the last issue date of the year. You pay your order conveniently by credit card. LOG IN to access the order form. You can order stamps mint (without a postmark) or postmarked. In this option you get the stamps (including booklets, miniature sheets) according to the quantity of your order. If the stamps are printed in a booklet, you get as many booklets as your order states. 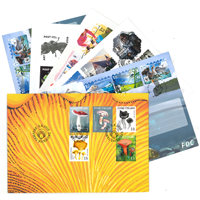 The price per annum is based on the cost of stamps and changes from year to year. In 2017, the price of the 24 stamp issues is €81,60. An illustrated First Day Cover (FDC) will be prepared for each stamp issue. 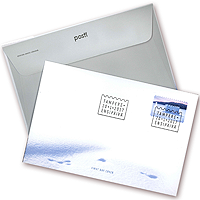 It consists of an envelope, affixed with the stamps and cancelled with the special first day of issue postmark. The design is by the stamp artist to make the whole an artistic unity. All stamps issued during a year in a colourful protective folder. Information about the themes and the issue dates in Finnish, Swedish and English. The stamps of the postmarked year pack bear the date stamp of the issue date. The year’s output of FDC’s in one set. 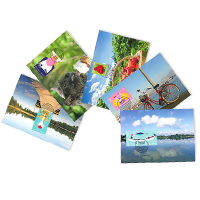 The idea of a maximum card is to maximise the theme of the stamp, card and postmark. There is normally one set of maximum cards per year.